Cannabis is evolving past the stoner age at a rapid pace, but are new marketing plans, products and events paving the way for this evolution, or is cannabis further away from being the next big thing than we think? Marijuana Business Daily quotes University of Northern Arizona sociologist, James Bowie, as saying, “The marijuana industry needs a branding makeover – big time.” He refers to the marijuana leaf appearing in 44 percent of the logos presented for state approval. The question is, is cannabis brand transformation an evolution in the industry, or de-evolution? The problem is perception. Has legalization made cannabis more mainstream, or is it something quiet and underground and kept away from normal Americans? Regardless of how you feel about the industry, cannabis is rebranding, and has the potential to become everything you think it’s not. The increasingly diverse and large demographic in favor of cannabis use outstrips the stoner stereotype. The culture is coming out from the underground and gathering new adherents. Those numbers are more comfortable in experiences that have generally accepted best practices in imagery, language, and accessibility. Related: Adult-Use Cannabis Is Legal but Very, Very Regulated. 2. New customers expect more. New markets include retirees and middle-class professionals. Many have been dealing for some time on the black market, but for the increased pricing that taxation will cause, they want some branding experience bang for their buck. 3. Social media is normalizing pot. Social media has a way of making all things. The more opinions you read about use, the more reviews you read about dispensaries and the more success you see attached to certain brands, the more likely you are to buy. There are no language or content barriers to social media communication, so optimizing a brand presence on multiple platforms has a way of normalizing use and sharing brand. 4. Medical marijuana has wide acceptance. No one argues with wellness. To the extent that cannabis has legitimate claims to positive medical benefits, it has a legitimate claim to brand for well-being. And, at least for edibles, that provides opportunities for visual and packaging differentiation. 5. Cannabis on the menu. Making cannabis useful in terms of cooking takes it off brand regarding its heady and psychoactive punch. But, it creates a sub-market for a new conversation. Making cannabis an ingredient in daily recipes or haute cuisine makes its use common and removes fears and concerns about reefer outcomes. Some neighborhoods and social circles host tastings for strains and their recipes. 6. Books and magazines add respect. Publications are appearing on coffee tables and bookshelves everywhere. They not only endorse the presence of cannabis, but also normalize its acceptance as a higher level, socially acceptable pleasure. 7. Is it fun, or good for you, or both? Pleasure-based and medical-based cannabis products need differentiation in terms of lingo and look. There’s every reason the same strain or derivative can be branded for several purposes and markets. Edibles, vapes, tinctures, and topicals each deserve their respective marketing strategies. The pleasures of cannabis can follow in the steps of liquor branding emphasizing a connection with friends and community. But, they can also align individual products and acceptable practices with community interests like appropriate non-profits, such as senior citizen centers, or organizations fighting various diseases that benefit from cannabis use. Celebrities including Whoopi Goldberg, Montel Williams, and even Vincente Fox, the former president of Mexico have emerged as industry advocates. Endorsement doesn't guarantee success, but if success follows, their influence will help shape establish new models for branding, advertising and packaging. 10. The good ole' tradeshow. Conventions, festivals, and expos are popping up around the country to expose cannabis in new lights to more people under safer and more reputable circumstances. What’s obvious from these plans is that if cannabis is to become mainstream, then these rebranding initiatives have to move far past the stoner and leaf and much closer to middle America and it’s daily routine. If the stereotypical soccer mom isn’t going to embrace cannabis, America won’t, no matter what rebranding or marketing is behind it. You may never see it in Whole Foods, but if the people who shop at the industry giant aren’t also buying cannabis products in some fashion or another from other retailers, the industry will not grow. Making this happen are events like the pot gatherings hosted in Denver’s arts district where hosts serve hors d’oeuvres and invite guests to bring their own marijuana. Cannabis is still not as acceptable as an afternoon wine or neighborhood game of bunco, but branding efforts are moving it in that direction. 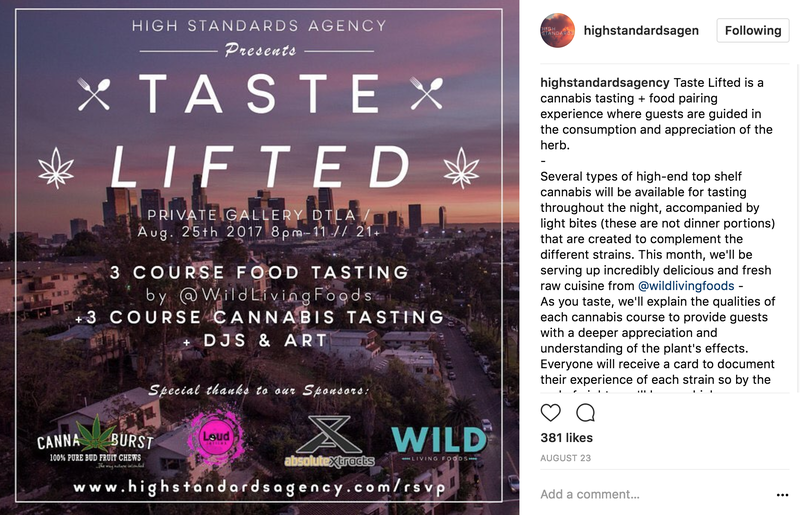 Los Angeles-based premier marketing agency and showroom, High Standards, specializes in bringing sophisticated, informative events to the state’s cannabis mecca. “The events we produce focus on integrating cannabis with lifestyle activities that people already enjoy, such as dining, shopping, spa, wellness and similar experiences," COO Mary Vallarta told me at a recent event. "This makes for an entertaining and welcoming environment, for both cannabis enthusiasts and canna-curious people alike. In the end, we focus on connecting cannabis businesses with the modern cannabis consumer." The farmer's market model is proving effective for the cannabis industry, as well. Farmers, manufacturers, dispensary owners and ancillary companies are showing off their products and services at festive events that look and feel more like the Renaissance Fair than a drive-in theater swap meet. “Cannabis has always been an integral part of the festival scene, it's only recently that it's able to take a more visual role with gatherings focused on community and well-being,” opined Michael Katz, co-founder of Emerald Exchange and CEO of Evoxe Labs vape pens. “The presence of cannabis education and products puts cannabis lifestyle integration at the center of our event, and the response has been overwhelmingly positive." "The Emerald Exchange is my favorite event of the year, because of the clientele and people who attend this gathering. 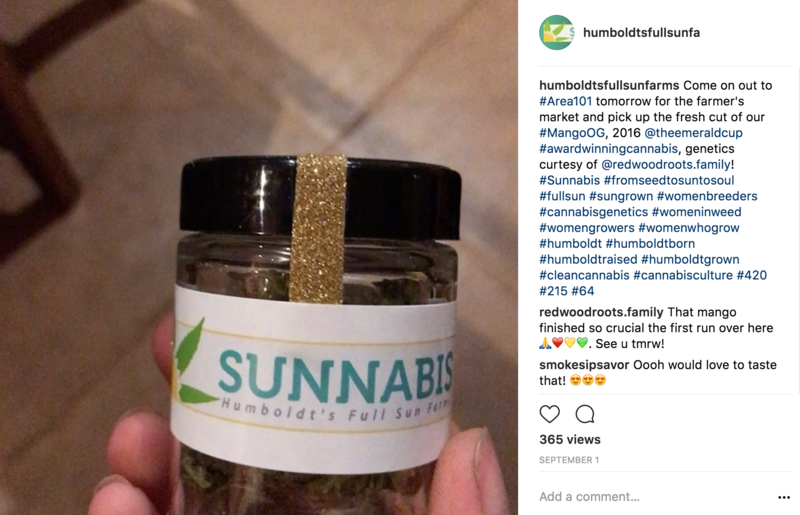 These men and women represent the epitome of the conscious cannabis community, among other things," remarked Wendy Kornberg, founder of Humboldt's second-generation Sunnabis Farms. "They want to know about your farming practices and planning. They are such great people. The same applies to this intimate annual meeting, thanks to the staff responsible for the success of the Emerald Exchange." Breeders, farmers, dispensary owners and all the related support industries in the cannabis world are aligning with creative minds, advertising pros and marketing gurus to create engaging packaging, memorable logos and retail interior design to match cannabis to a new demand. This rebranding effort is without precedent. It bears no comparison with the traditional messages to sell cigarettes or alcohol. You can watch for new symbols, a shift in language toward versions of cannabis and away from marijuana, and marketing tests on colors, convenience, as well as labeling that appeal to new demographics. The next five years in the industry should prove transformational from many perspectives involved in branding, potentially making cannabis as American and mainstream as a Ford F150 pick-up truck.